It’s time to get your garden started with fresh garden plants from Wells Brothers! 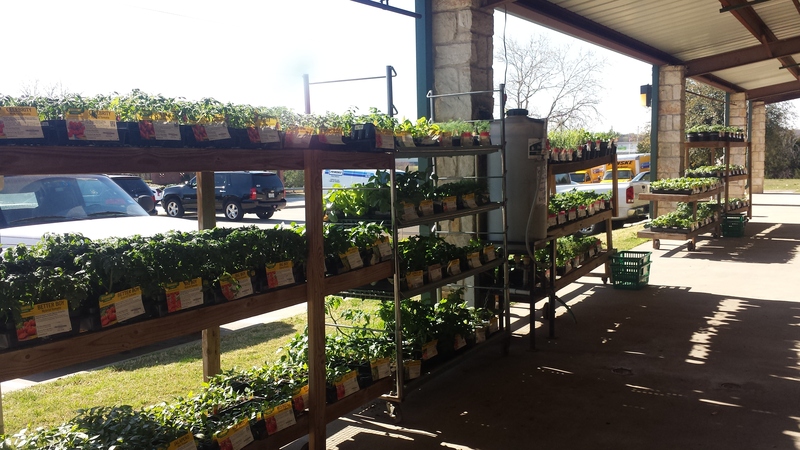 Our patio is overflowing with fresh, vegetable, herb and flower garden plants from Bonnie Plants! All our Bonnie Plants come from non-GMO seeds. We’ve got tomatoes! Varieties include Sweet 100, Big and Better Boy, Celebrity, Early Girl, Patio, Bush Goliath, Tam G, Red Beefsteak, Cherokee Purple, Yellow pear, German Queen, Husky Cherry, Super Fantastic, Juliet, Better Bush, Sweet Million, Yellow Cherry, Roma, Beef Master, Jet Star, Pink Brandywine, Parks Whopper and Mr. Stripy. 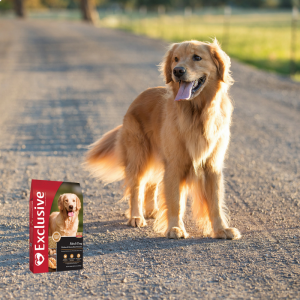 In the pepper department, we have Yellow, Purple, and Red Bells, Banana, several types of Jalapenos, Serrano, Mucho Nacho, Giant Marconi, Tabasco, Pimiento, Anaheim, Thai Hot, Chile Red, Havasu, Hot Banana, Orange Lunchbox and Maxibelle. Herbs included mint, cilantro, dill, Italian and Greek oregano, Lemon balm, Sage and Italian Parsley. More new stuff includes kale, zucchini, straight and crookneck squash, cabbage, chard and some cucumbers. And of course, we have onions! It’s the perfect time to start planting. Don’t shop in the produce section this summer, shop your garden instead! 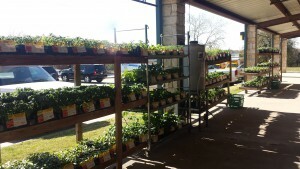 Stop by Wells Brothers in Plano, Texas for all your gardening needs.